← Where are NYC’s Science Talent Winners? Larry is one of the smartest guys in Flatbush. So when he started defending Brooklyn’s lack of clout at City Hall, I did a double take. But isn’t it worse for Brooklyn to have no power, because the mayor — most responsive to Manhattan media — controls almost everything? Larry shrugged and turned back to the TV. It was easier for him to watch his beloved Jets self-destruct than to grapple with one of the thorniest issues facing New Yorkers in 2011: how to ensure that Mike Bloomberg’s successor — whoever he or she is — will balance the needs of the BBQSI boroughs against those of the Manhattan business community. 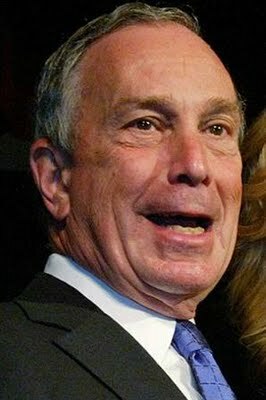 Whatever one thinks of Mike Bloomberg’s policies (John H. Richardson in Esquire quotes Bloomberg as having said “I’m not certain, I’m right,” there’s no guarantee that the next mayor won’t be just as imperious — and a lot less smart — than Bloomberg is. If that happens, we’ll be stuck for at least four years. Since 1989, no municipal official — or combination of officials — has had the power to derail a mayor who’s determined to have his or her way. Even if the state legislature were to discontinue mayoral control of the schools (which the 1989 charter didn’t address), the concentration of budgetary control in the mayor’s office would force a reconstituted board of education to bow to the mayor’s will if it wants to get things done. The board’s historic sponsors, the borough presidents, have had no operating budget power since 1989— and little clout — since that charter change. And the City Council, despite its dramatic public hearings, rarely risks opposing a mayor capable of punishing individual members at will. So while Larry may be right about the unconstitutionality of the Board of Estimate, even the Super Bowl shouldn’t distract us from the urgency of our situation: Unless we’re very lucky, the next mayor of New York City could turn out to be a petty tyrant, an opinionated blowhard, or a maverick with a diffuse vision of the city’s future. Or the next mayor could be another billionaire businessman, just as convinced as Mike Bloomberg is that his way is the only way, but without Bloomberg’s redeeming focus on public health. Oddly enough, the only place we can seek a way out of this bind is through the state legislature. Unfortunately, that legislature doesn’t enjoy the public’s confidence right now and has a State budget crisis to deal with. This entry was posted in 1989 NYC Charter, NYC Government and tagged BBQSI Boroughs, Borough Presidents, charter revision, Jets Fan, Mayor Bloomberg, Michael R. Bloomberg, NY city charter, NY City Council, NYS Legislature. Bookmark the permalink. Billionaire Mike is the third post-1989 charter Mayor. How would you describe his two predecessors and their efforts under the same charter? Its not the Mayor’s personal wealth that makes him imperious; America’s mayor was every bit as imperious, probably not as smart, and not as willing to listen to other points of view. This Mayor gives his Commissioners a lot of leeway; his predecessor gave them none. And what can I say about Mayor Dinkins? Not much, although he does not get credit for some of his efforts that America’s Mayor took credit for– like the start of the reduction in crime and the plan for Lower Manhattan. How would a charter change to reempower (is that even a word) the borough presidents change things in the short run; in the long run? How does term limits interact with the charter’s centralization of power in the mayoralty? Regardless of those changes, who will be tomorrow’s municipal leaders? In a democratic city, we have had “republican” mayors for five of the last six terms. Will that change in 2013? Today I would expect the democratic field to include Liu, DeBlasio, Quinn and Wiener. Republicans? Goldsmith, Castimitedes. Inspired? Confident of a better tomorrow? I think that’s why Larry, and all of us, are watching the Super Bowl. The City’s future will depend on its citizens, not its elected officials. But to have any effect on the City’s future, its citizens will need effective local representation, no?